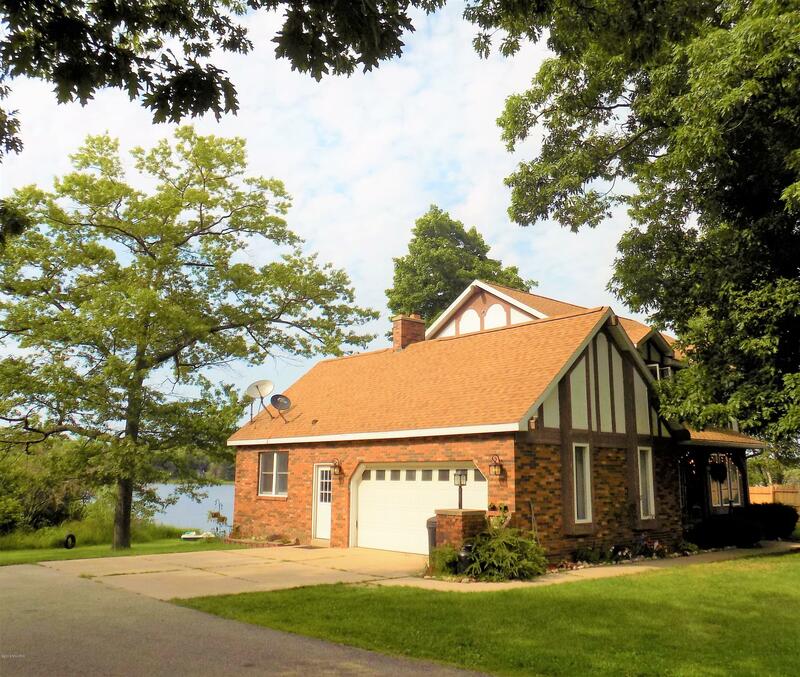 This English Tudor home has 125 Ft. of Private BAR LAKE Frontage, which channels into LAKE MICHIGAN, and is only 1/4 mile up the road from the beach! It includes 4 large bedrooms and 2.5 baths. There are French doors going off of the foyer into the living room. The eat-in kitchen has hickory cabinets and comes with appliances. There is a sliding glass door that goes out to the new spacious deck overlooking the lake. The dining room has a wood burning stove. The mud room goes out to the large twocar garage. There is a family room, recreation room and craft area in the basement. The Lochinvar furnace was installed 4 years ago and has 4 zones. The Artesian Well was drilled in 2003. Septic was repaired in 2014 and is in good working order. The Pontoon boat stays if buyer desires!